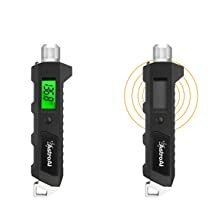 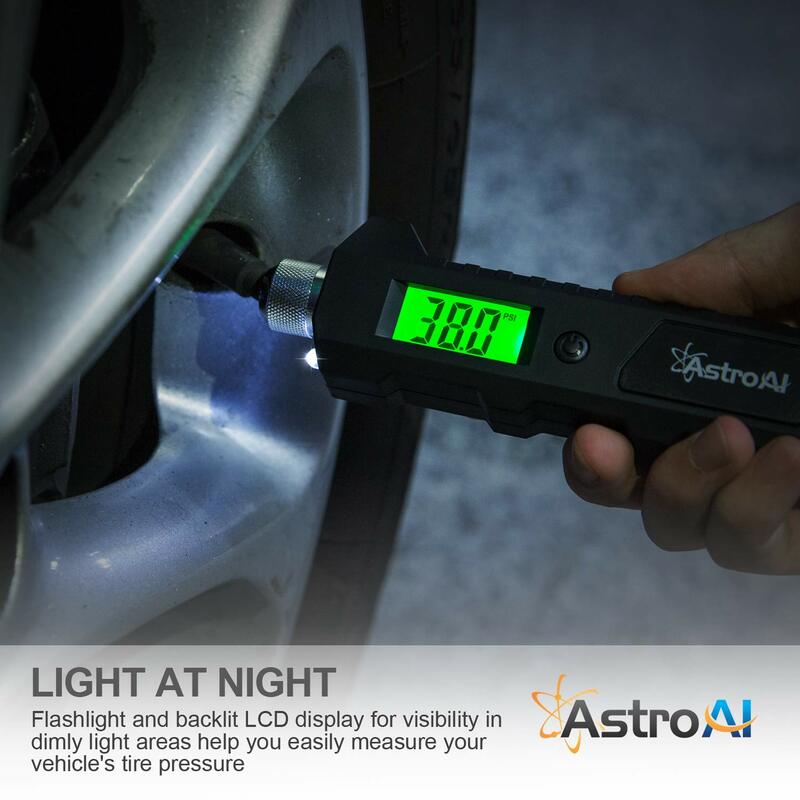 Flashlight and large backlit LCD display for visibility in dimly light areas help you easily measure your vehicle's tire pressure. 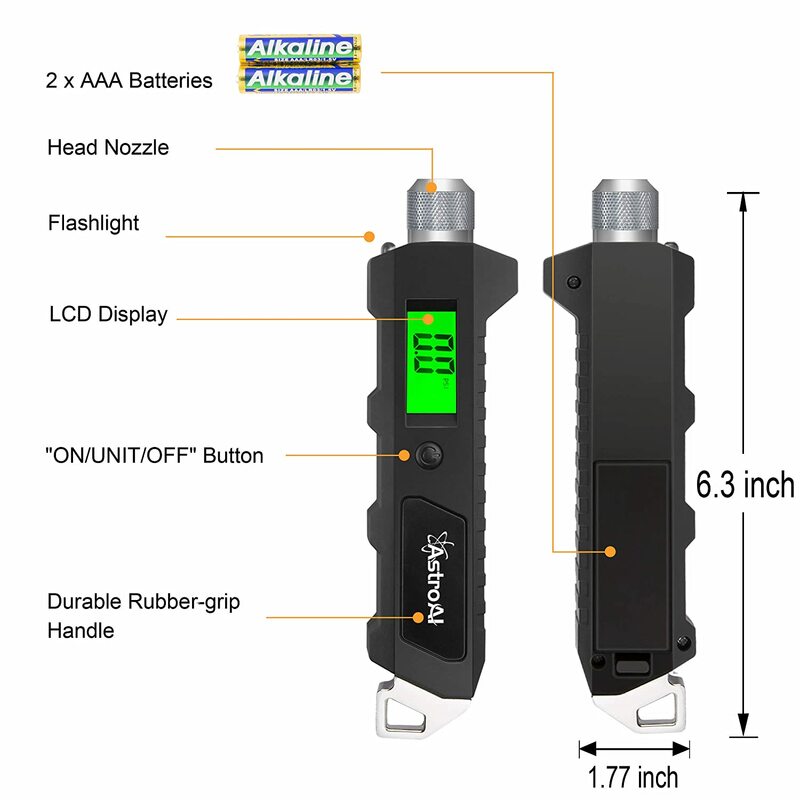 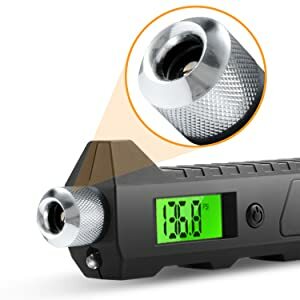 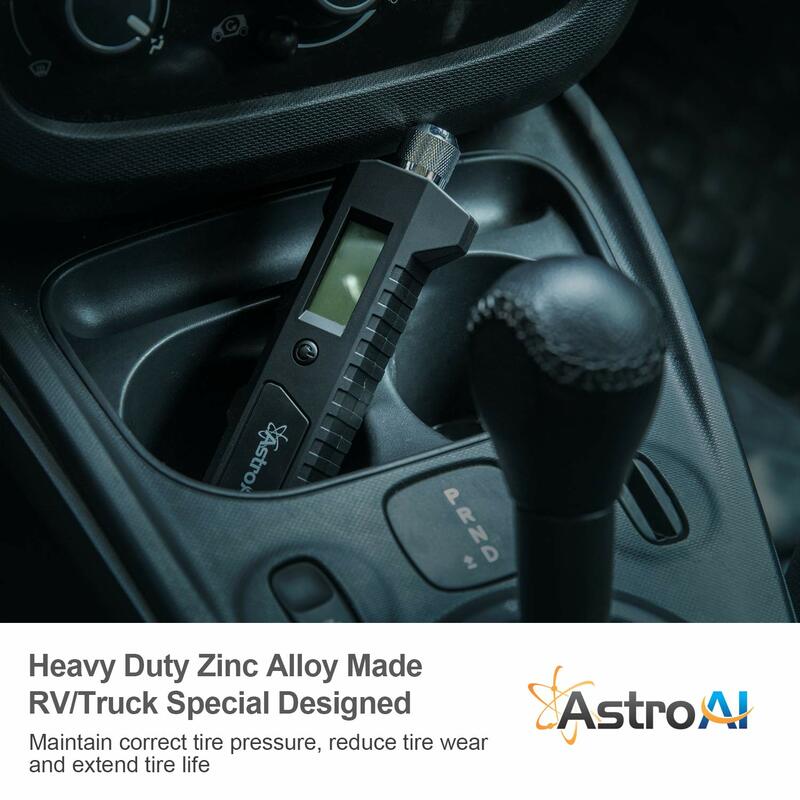 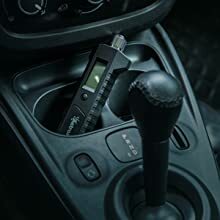 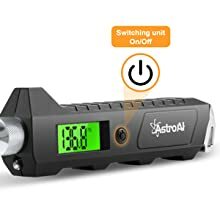 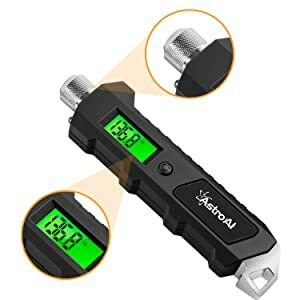 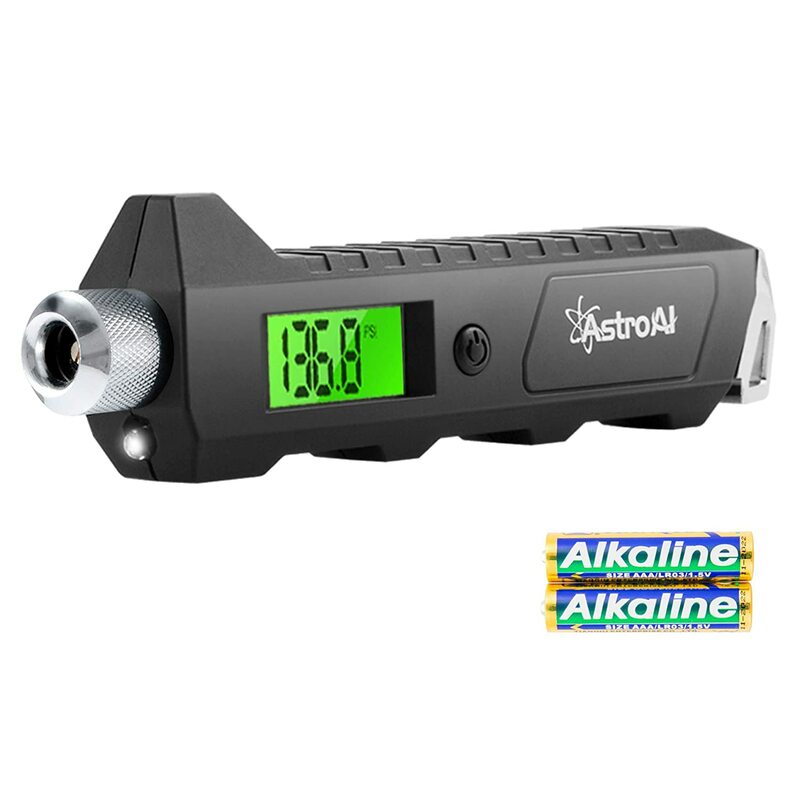 This AstroAI 230 PSI Digital Tire Gauge has been designed with ease of use in mind. 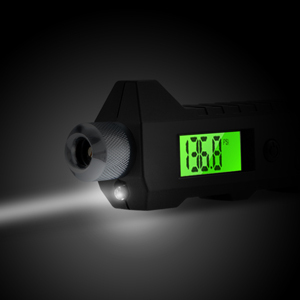 The backlit LCD screen is always easy to read, whether in the intense sun or darkness of night. 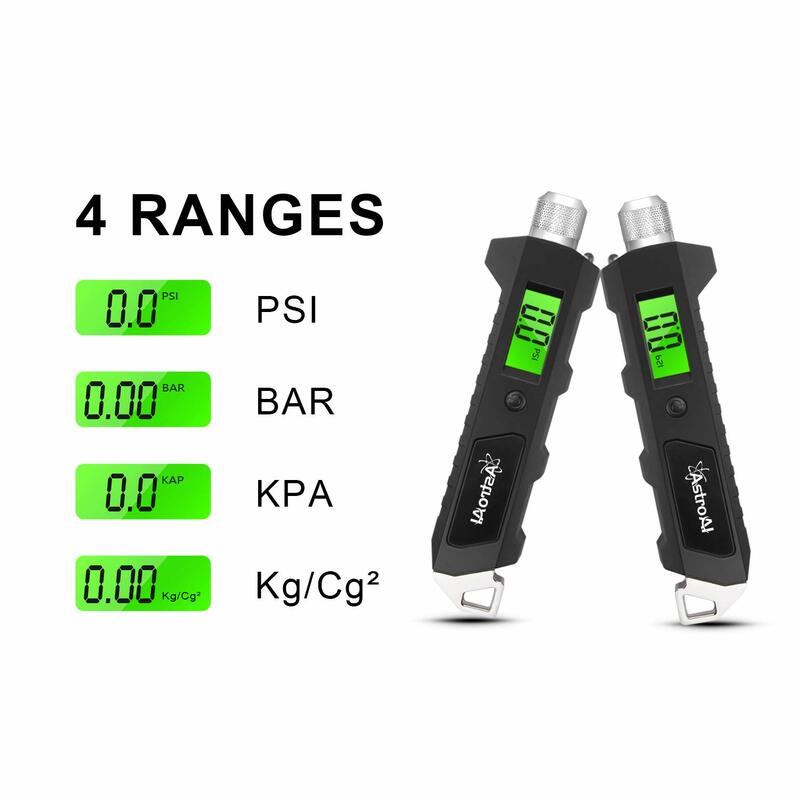 The solid construction of the gauge will keep it together and working at a high level. 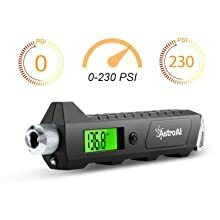 Protect your investments by maintaining the correct tire pressure! 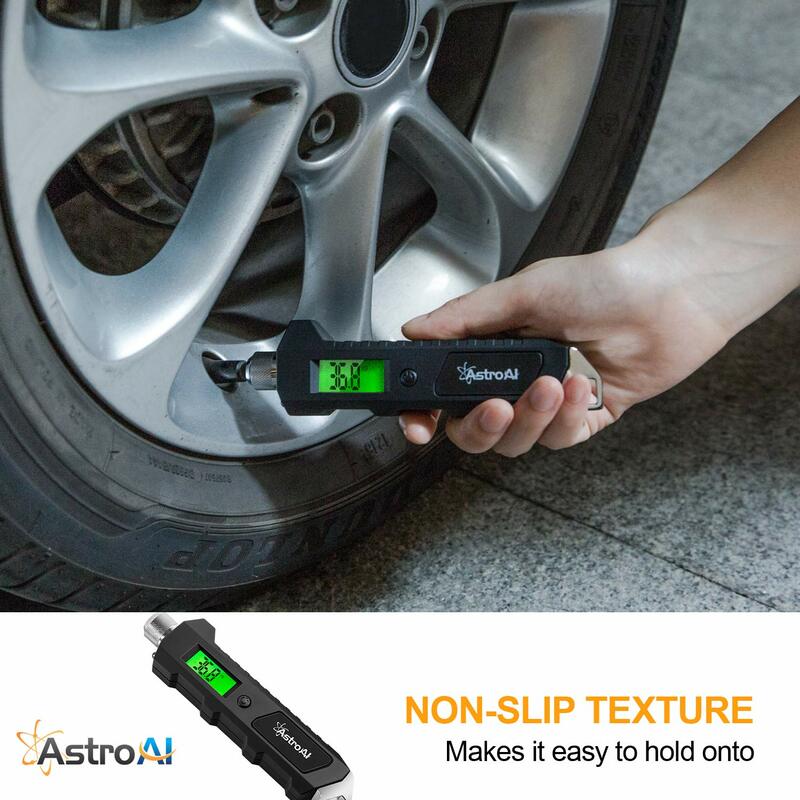 Optimal tire pressure will increase fuel economy, reduce tread wear, increase safety, and ultimately save you lots of extra money.